In two months time, 1 Billion Indians would be be busy once again talking about Cricket world cup 2011. A few cricketers would trend on Twitter too. Justin Bieber would be out of limelite for sometime. The Indians won a world cup when Chronicwriter was a 1 year old baby. Will they win the world cup when he turns 29? India has won the world cup twice (50 overs and 20 overs). On both occassions,they were underdogs. They were expected to win the worldcup in 1987,2003. But they choked in the final hurdles on both occassions. In the second edition of the 20-20 world cup, they were the hot favorites. But they were bundled out in the first round. 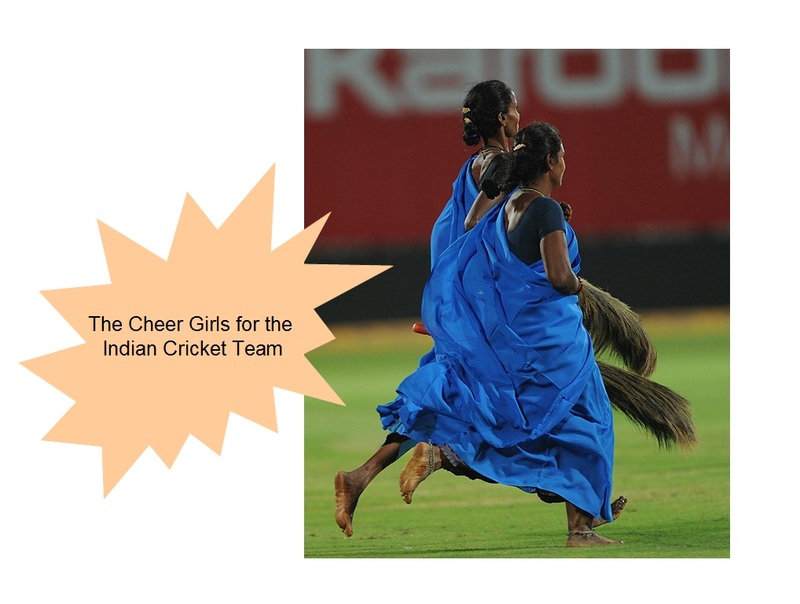 Let us have a look at the Indian Cricket team's preparation for the forthcoming worldcup. The Bengal Tiger is still around. But will he get a place in the team? He was a great player on the offside and his footwork was similar to Steffi Graf's. He was a terror for all the bowlers, till that fateful day in 2005 when Chaminda Vass bowled a bouncer at him. The tiger went into the cave and never returned. Everyone started bowling short pitched deliveries to the Bengal Tiger and even spinners started treating him like a Bunny. Remember our Appam Chappathy @GopuMon? He is a disaster from all directions, yet he provides entertainment with his dance moves and his artificial arrogance. Harbajjan, Inzamam have taught him great lessons in the past. He never learnt the lesson from them. He bowls good deliveries on his day. The spin trio! 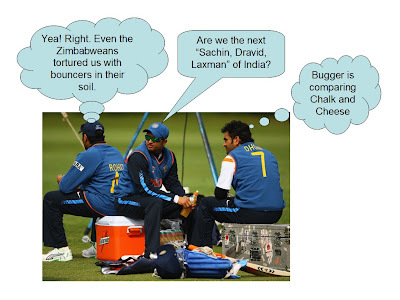 Gone were the days when India's spin trio posed a serious threat to the opposition teams. 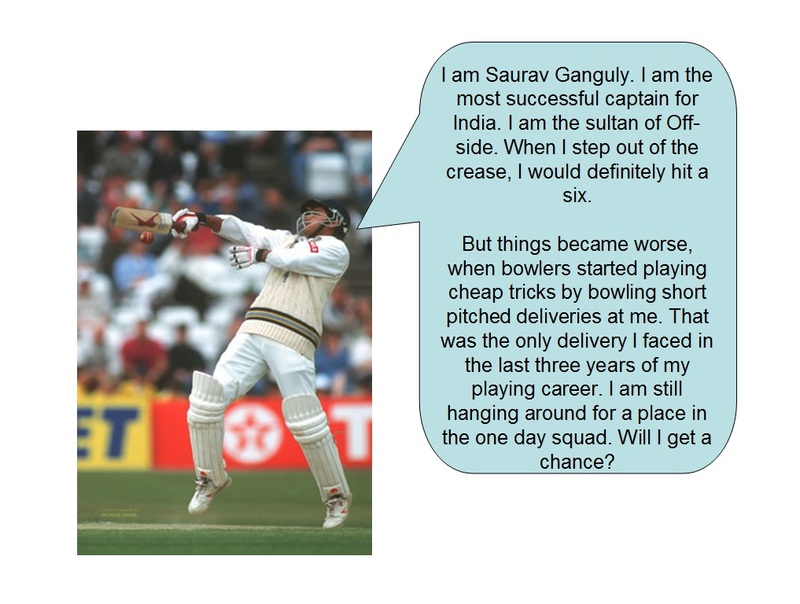 Bhajji would be the spearhead. The supporting spinners slot would either be filled by Ohja or Amit Mishra or Ashwin. Did I miss someone? 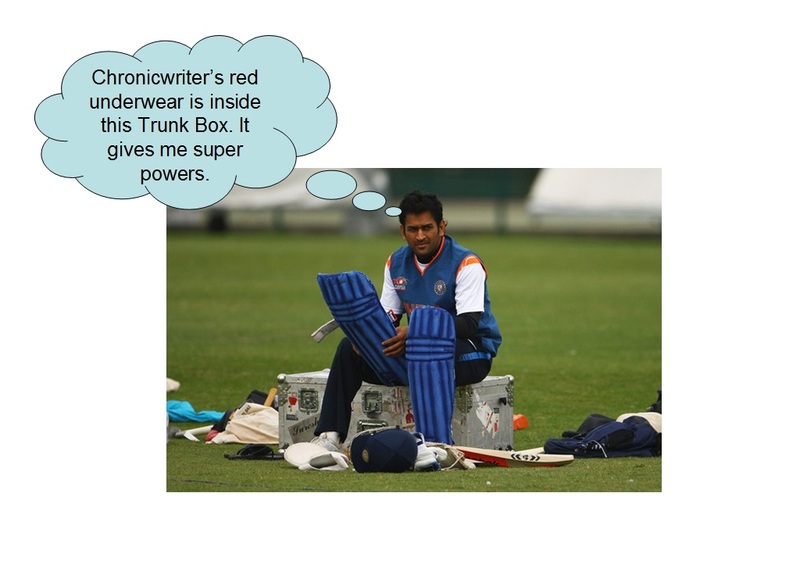 Kumble still has some gun powder left in his package.But he has already hung his boots. Dhoni still uses part time spinners (Rohit Sharma, Raina, Yuvi, Jadeja, Sehwag, Yusuf Pathan). 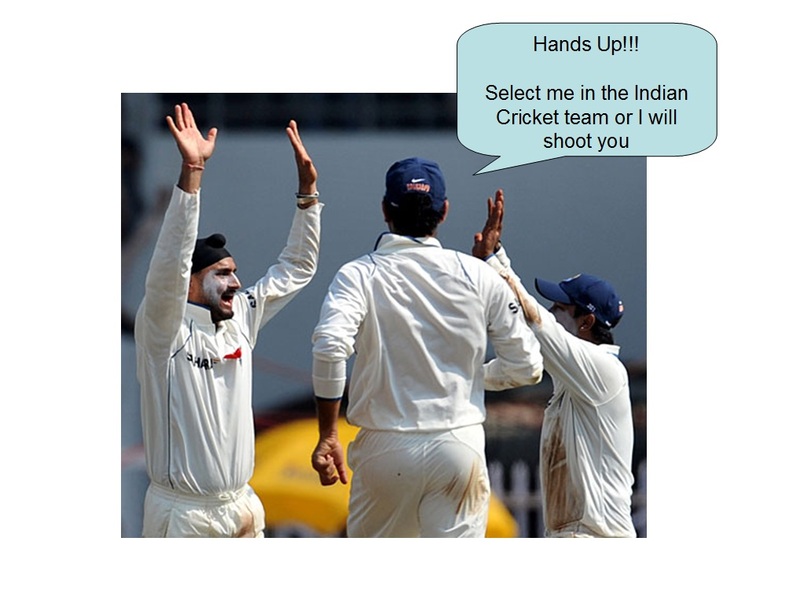 India does have lot of Bowling options. Yusuf Pathan would be a great pick. He plays well in the subcontinent pitches. 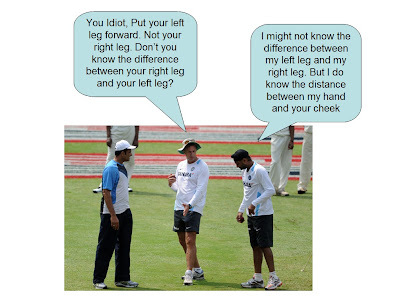 Hope the Indian selection committee use their brains while selecting the team. The middle order is gonna have a great competition. With Sachin and Sehwag almost sealing the openers slot, the middle order is gonna be a battle between Gambhir, Virat Kohli, Rohit Sharma, Raina, Yuvi, Yusuf Pathan. 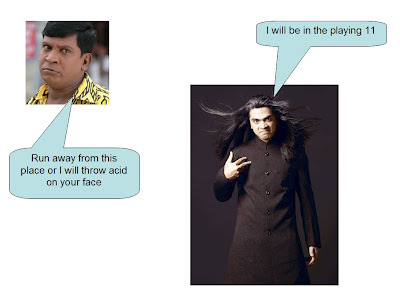 If you are a Ravindra Jadeja fan, please leave this page immediately. Sometimes the Indian thinktank make wierd decisions. Some players manage to hang on with the team for no reason at all. 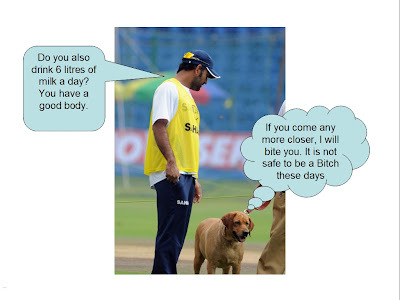 There was this Deep Das Gupta who travelled along with the Indian team for a long time. If Jadeja plays in the worldcup, I will support for Zimbabwe. 2) Keep your hand on your chest and say "Hail Captain"
3) Run to the Restroom and Puke. 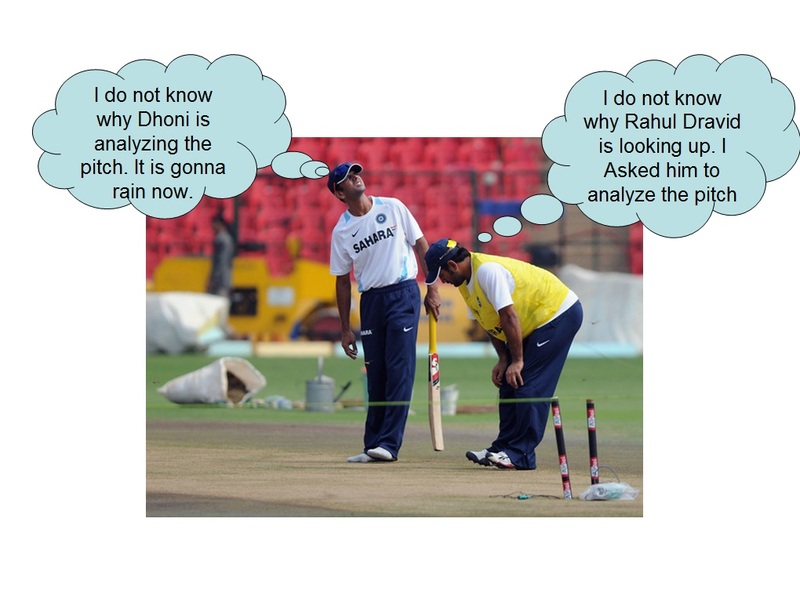 Rains will play a major part in the 2011 worldcup. The team batting second will have to face the music in most matches. 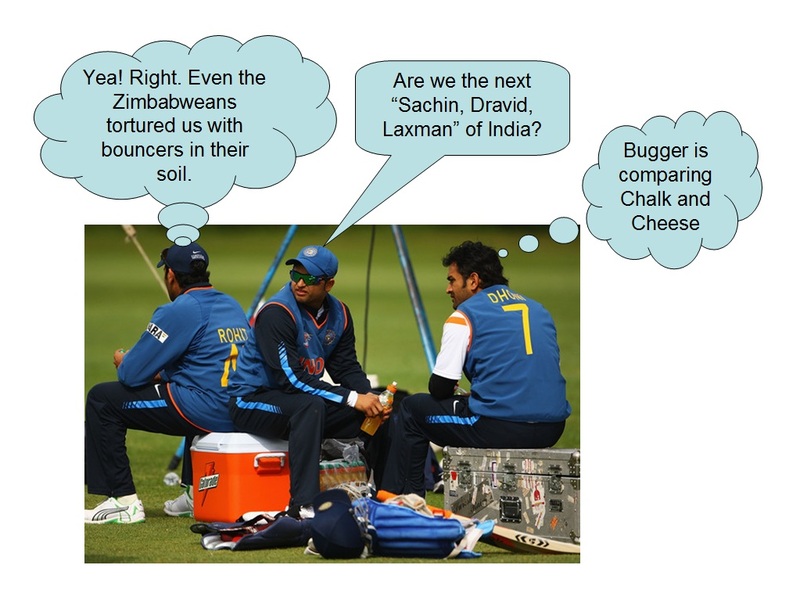 Duckworth Lewis idiots will have a good time. The matches are gonna be a run feast. Navjot Sidhu might make a comeback into the commentary Box. Twitter freaks will have a good time with Sidhuisms. Srikanth's words " Every body should play natural game yaar. 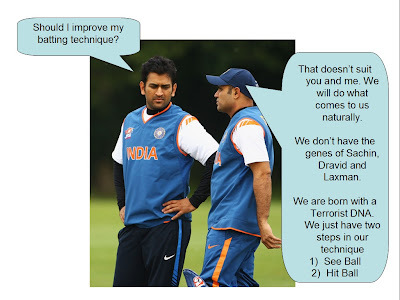 Sabhi players natural game keltha hai" should be in the mind of every cricketer. If only the following thing becomes a reality, the world will surely end in 2012. "If Jadeja plays in the worldcup, I will support for Zimbabwe." - of all things wonderfully creative, tummy-spraining and 'infotaining' in this post that line is the best. With all due respect to the 'anon' comment before me, I think Jadeja has been given a LONG rope; so long a rope that it now fills several cricket stadia apparently! :D He has to go back to domestic cricket and sort himself out. All in all a thoroughly good read! This post is just so perfect to go with my sunday tea! I GAN BLAYGRIGED VEREE VEL. I SGORE SIGZERS AND BOURS. ZOOT DHE BAGISDAN DERRORISD. JAI HIND! @ Cindy : Thanks much girlie.. Ain;t you sweet? hehehe..very unethical of you to reveal ur secret relationship with Dhoni. he is married now what a disgrace if he is still carrying ur red underwear! but i hav loosemotion with cough!!!!!!! anyway nexst time i will enjoy!!!!!!! you are too good...and your humor Rocks!!! keep it up!! one doubt,everyone know Gambhir is a good cricketer.why you didn't you write these good stuffs about him? one doubt,everyone know Gambhir is a good cricketer.Why didn't you use these good stuffs on him?